"We need new ways of thinking about how the economic and the social are interwoven." Jobs and work are key topics at the World Economic Forum's Annual Meeting 2017. Watch the session on Promise or Peril: Decoding the Future of Work here. Gender issues permeate workplaces in both overt and covert ways. They are not limited to just the hiring of more women, but are closely connected with the way production and capitalism is understood at large. There is a clear divide in what is understood as work life, and what constitutes personal life. These are two distinct silos. It is commonly understood that a good and committed professional is one who knows how to keep these two separate. Work falls within the economic realm and personal or home falls within the social realm. The former is the market economy and the latter is the care economy. However, in reality it is not so. The home, where family members cook, clean and care for each other, ultimately ensures that the workplace has the human resources it needs to function. We need to shift perceptions between what is economic and what is social and include cooking, cleaning and caring as economic activities even when they are unpaid, since, if monetised, they would significantly boost GDP. Furthermore, the lives we lead at home are interwoven with the ethics of the modern workplace and the quality of the goods we can produce. Investing in the care economy - that is to say, spending time looking after children, the elderly, the sick and ourselves - is investing in the economy, full stop. When the fabric of our societies is weak, our markets also flounder. While technology is important, it is still the human mind that develops and runs that technology. However, when it comes to gender parity, highlighting the importance of the care economy is a double-edged sword. It risks reinforcing women’s role at home, and discouraging them from participating in the market economy. The danger lies in social norms that divide labour along gender lines. In many cultures, women are perceived as the custodians of care, with their careers taking second place. If they believe or behave otherwise, they are made to feel the burden of guilt at not being “good” women. In such instances, self-imposed fences enclose women within the care economy. They may refuse promotions, transfers to other locations or extra responsibilities, while organisations see these as social issues that they cannot possibly address. The silos remain intact. On the other hand, there is a well-proven business case for involving more women in the market economy. Here the arguments hover around achieving equal pay, fighting stereotypes which label men and women as more suitable for certain kinds of work, and breaking the infamous “glass ceiling” which stops women reaching the top of their fields. Could a man become Chancellor of Germany? 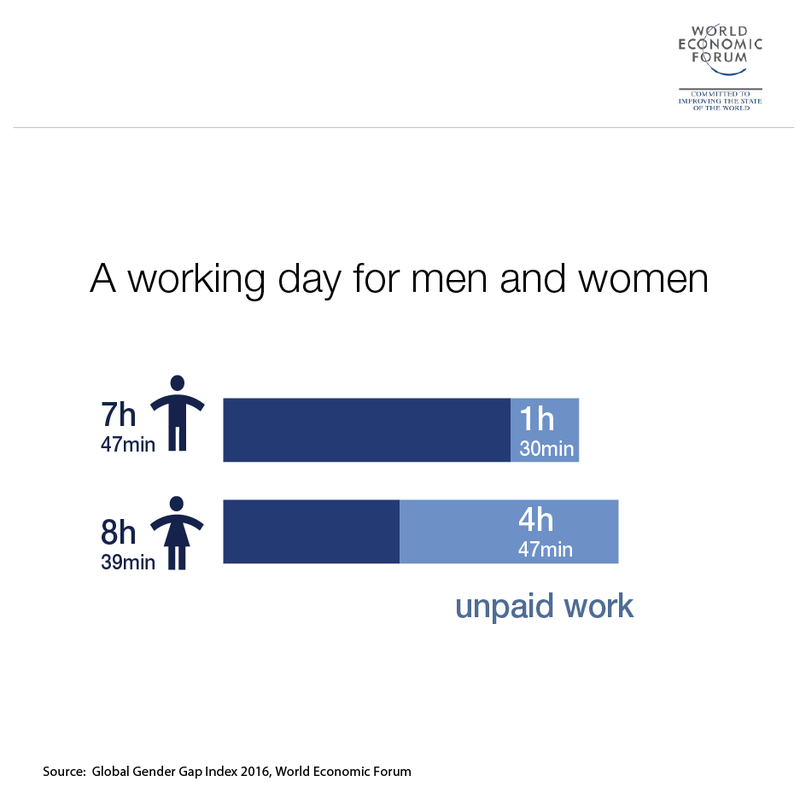 Women, meanwhile, are caught in the dilemma of playing dual roles in both the care and the market economies. If we are to ever reach gender parity, we need to break down these silos. Time and again, we have seen that governments which invest in education, health, child-care, care for the elderly, and assisting in making the lives of caregivers easier, have enjoyed economic dividends. On the other hand, when governments shrink away from these investments, the effect ripples through societies and economies. The future needs new ways of thinking about how the economic and the social are interwoven. Human beings are more than human capital or resources. A break in a career for participating in the care economy should be considered as a productive spell of work experience. It is not a ‘break’. It is a movement from one type of productive activity to another. If this were to happen, then the silos of home and work would merge and a new, more humane form of production and productivity would emerge. The Global Gender Gap Report 2016 is available here.